It’s a simple truth – In case you own any business, then you definitely require a website. All of the online businesses clearly need websites for various aspects related to marketing, sale of products or services. Even the simple brick-and-mortar business needs to have an online presence on the Web. It is no longer the game of featuring in yellow pages listing. People now like to discover new businesses by Google, reading about the company regarding its operations, services provided, pricing structure and location of the business. If your business doesn’t feature in search results, you may not have customers. Even if you have a small or big business, you have to build a website to tackle the competition and keep an edge over your rivals. The very first step is to finalize a Web host which is a company that will keep your website’s files on its servers and provides them to your potential customers’ browsers. These Web hosting services provide different amounts of monthly data transfer along with storage, email, and various features. Even if you pay month-to-month payment or annual payments, the system varies quite a lot. So you have to plot out what are the major requirements of your company for success in the online domain. These services provide numerous types of hosting which includes Shared, VPS (virtual private servers), managed WordPress hosting plans and dedicated hosting. Talking about their differences, the shared hosting is good for those users who don’t wish to pay a large amount of money on hosting packages and are quite OK with traffic and data transfer limitations. VPS hosting works better for small business that requires more power than shared hosting, but they don’t wish to deal with prices related with dedicated hosting. In the case of dedicated hosting, which is quite powerful and expensive, it is mostly reserved for sites that have to handle a large volume of traffic each day. This is the most fastest web hosting service that comes with dedicated server resources exclusively available to its user. Managed WordPress hosting suits the business that wishes to build its sites on the base of famous WordPress content management system (CMS) but doesn’t wish to deal with a lot of backend stuff. In case you don’t have any fixed plan and you are not sure which type of hosting is required for your business, then you may go with small structure with shared Web hosting. You also get the opportunity to level up to more robust and package filled with features like VPS hosting or even dedicated hosting. But there are few hosts that don’t provide all types of hosting. By finalizing how much you expect your business and website to grow, you can make sure which hosting you require. After deciding your price range, then you have to confirm how long you will require Web hosting. In case it is a short-term project like just for a month or two, you can receive a refund in case you wish to cancel the hosting within 2 months. There are companies which provide 30-day money-back guarantees. Most of the Web hosts provide limited features with their starter packages and then expand the features for higher plans. You must read the small print to confirm that the plan that you select provides the features you need. In case you require site builder applications to build and design your website, try to pick the low-cost Web host which comes with site builder. Most of these require you to pay for the builder separately. Generally, Website builders don’t cost a lot, but in case you stumble upon a Web host that provides one for free, then it is a good deal. Along with this, if it comes with integrated with your hosting service, then you will probably get a smooth experience. You will also require a Web host that provides 24/7 customer support via phone or forums, chat, knowledge base or customer care representative to get the required help. Having said that, not all of the 24/7 customer support are equal. When it comes to companies like GoDaddy or Liquid Web, they boast about their well-informed customer support representatives. In the case of server operating systems, Linux remains to be the default option. However, some services do provide a choice of Windows or Linux hosting. In situations where you need a specific server-side application which generally requires Windows, like SQL server or any custom application crafted in .NET, then you will definitely require Web host which has Windows hosting. However, don’t get scared with the notion of a Linux host. At present, most of the Web hosts provide a graphical interface or a control panel to make the server administration simple along with easy website management. Windows hosting is often expensive when compared to Linux hosting especially in the case of dedicated server area. 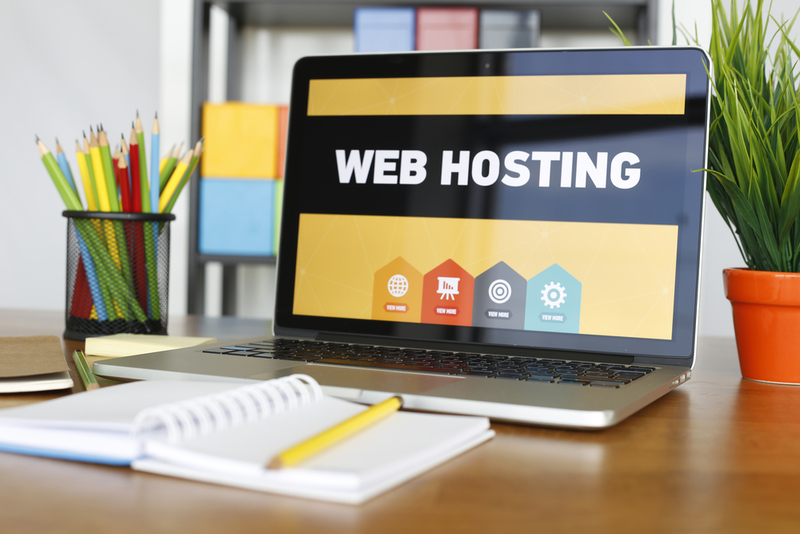 These features are quite important and valuable when it comes to experience related to Web hosting, but the key importance remains to be associated with site uptime. When your site is down, your clients won’t be able to find you or your products offered. Most of the Web hosts keep sites up and running in all cases. The uptime issue remains to be a crucial factor while selecting the best Web hosting services. The important fact learned during the list of these services is that even though these packages seem familiar but they are not identical at all. Some of them have focused more on security, offering Anti-spam and anti-malware tools. Other services provide email marketing tools. With its excellent uptime and intuitive website creation tools, Bluehost remains to be a good choice for creating an impressive and functional website for your business. HostGator remains to be a reliable Web hosting services which is also quite simple to use and provides a good set of useful plans for its customers and small businesses. It is also the choice of most of the novice webmasters. DreamHost provides robust feature set along with budget-friendly prices. However, this hosting service is best for experienced website administrators, but not for newbies. ResellerClub has multiple services including shared, vps and reseller. The name suggest that it has a reseller program which is quite popular and many reviewers have liked their services. I happen to use this service few days back and the process of registration and installing scripts is quite easy. ResellerClub rates are also competetive according to industry standards. Definitely a noteworthy hosting service right now. This hosting is quite expensive and also lacks shared Web hosting. However, it is a flexible hosting with loads of features with its great customer service along with impressive dedicated and VPS packages. This is an affordable hosting service providing rich tools for website-creation and boasts about its impressive uptime. GoDaddy is feature full hosting service with great uptime, better customer service, and flexible website-creation tools. This Web hosting service is full with features and provides different tools for maintaining the website. However, it does have some issues. Arvixe used to suffer prom uptime issues but they have improved a lot and now show off their solid reliability along with wide array of plans to start a website. It comes with excellent customer service along with strong security features, but it does lack certain features that are quite expected. There are many more website hosts around and in this website you will find all type of articles and tutorials about them. From installing a blog to maintaining a dedicated host we will bring all the stuff here. Go through the navigation and start learning about the website hosting features and how to make most of out of them. In Bangladesh, BDServerHosting.com is the best web hosting company. Great Article. Thanks for this information. How reliable is GoDaddy? I am presently using from GoDaddy from last two weeks. I need to ask why have you put Godaddy on 7th position? Is there any major issue with the website. Godaddy as a hosting platform is good, but there are better ones that I have mentioned in the list above. Godaddy is the best in Domain registrations. Currently using Bluehost 🙂 so far it’s great but a bit pricey. I was wondering which hosting provider do you recommend for new bloggers? Bluehost is recommended for new bloggers due to its low pricing, features and good service. sir this is my website i am using godaddy hosting. my website do not open many times in a single day. Hey, there information about best hosting services. I will surely go with bluehost as their support is amazing. Last time I used hosting from hostgator their support was also amazing but hosting was too expensive. Thanks for sharing. keep up the good work.